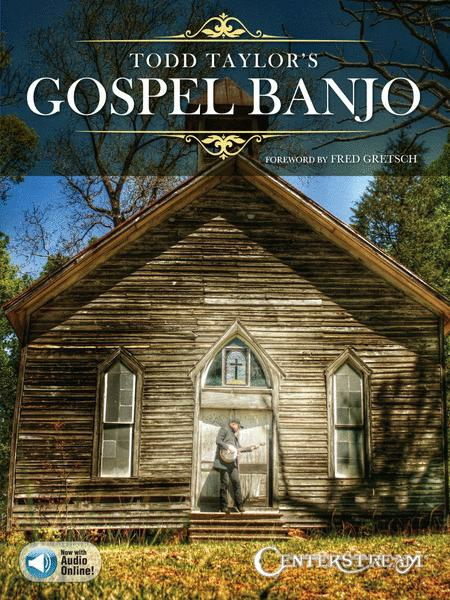 This book features ten exciting arrangements of favorite gospel classics by virtuoso Todd ?Banjoman? Taylor. Just follow the easy tab, listen to the audio and play along with Todd quickly and easily! Songs include: Amazing Grace ? How Great Thou Art ? Uncloudy Day ? What a Friend We Have in Jesus ? When the Roll Is Called Up Yonder ? I'll Fly Away ? and more. The audio is accessed online using the unique code inside each book and can be streamed or downloaded. The audio files include PLAYBACK , a multi-functional audio player that allows you to slow down audio without changing pitch, set loop points, change keys, and pan left or right.